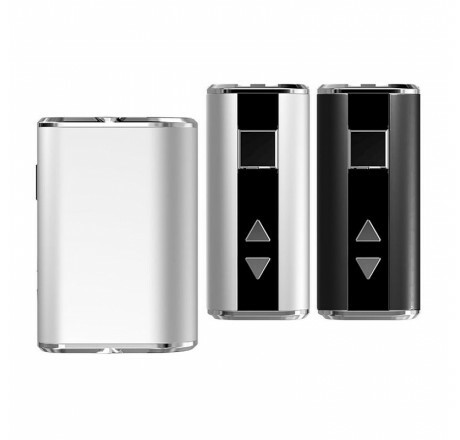 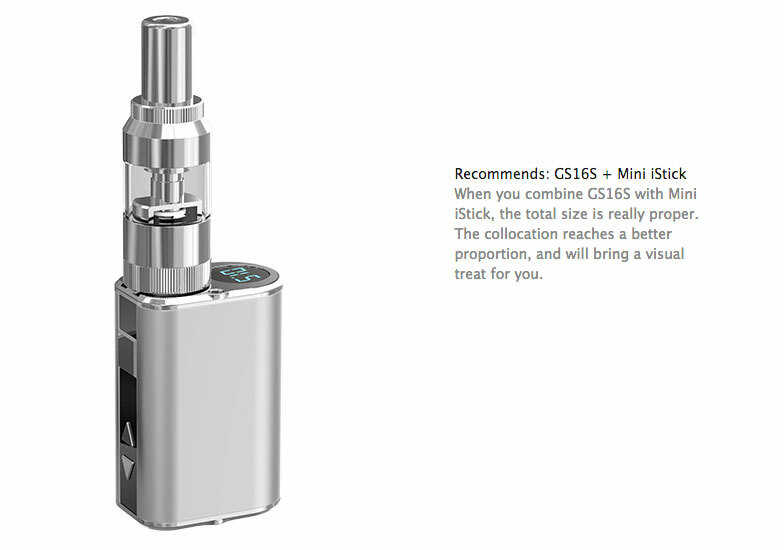 The iStick Mini by Eleaf is a ultra tiny monster that fits in your palm of your hand and is extremely ergonomic. 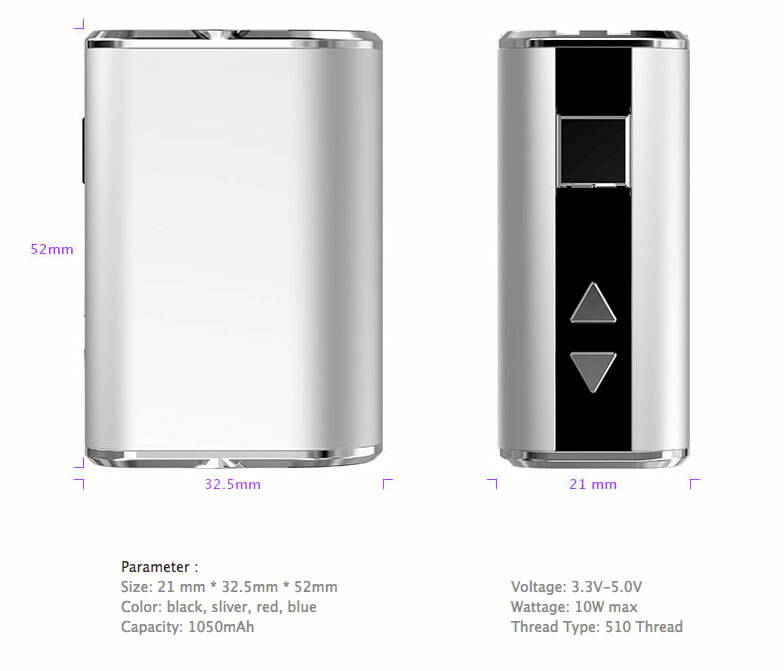 Powered by a built in 1050 mAh battery with integrated micro-USB port for easy charging. 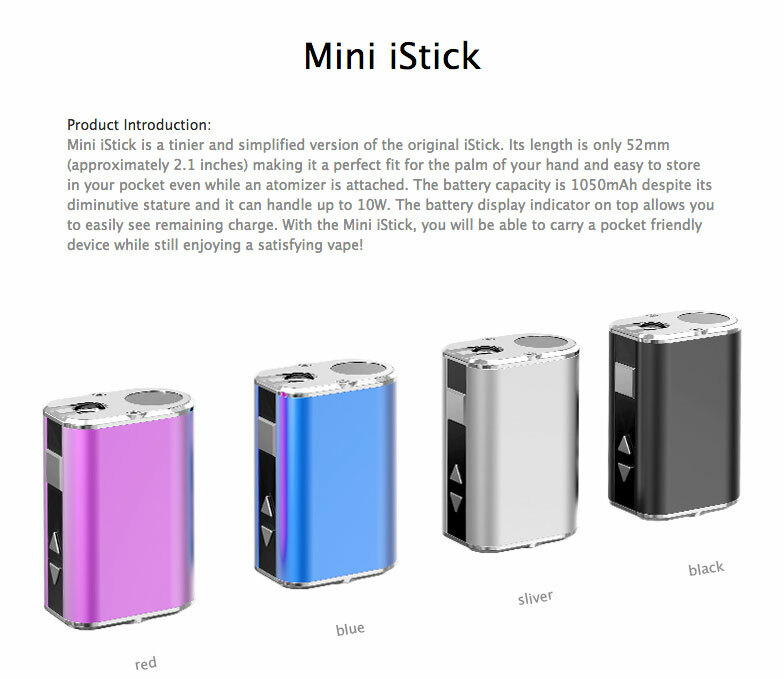 The iStick can be used while charging as well, super convenience! 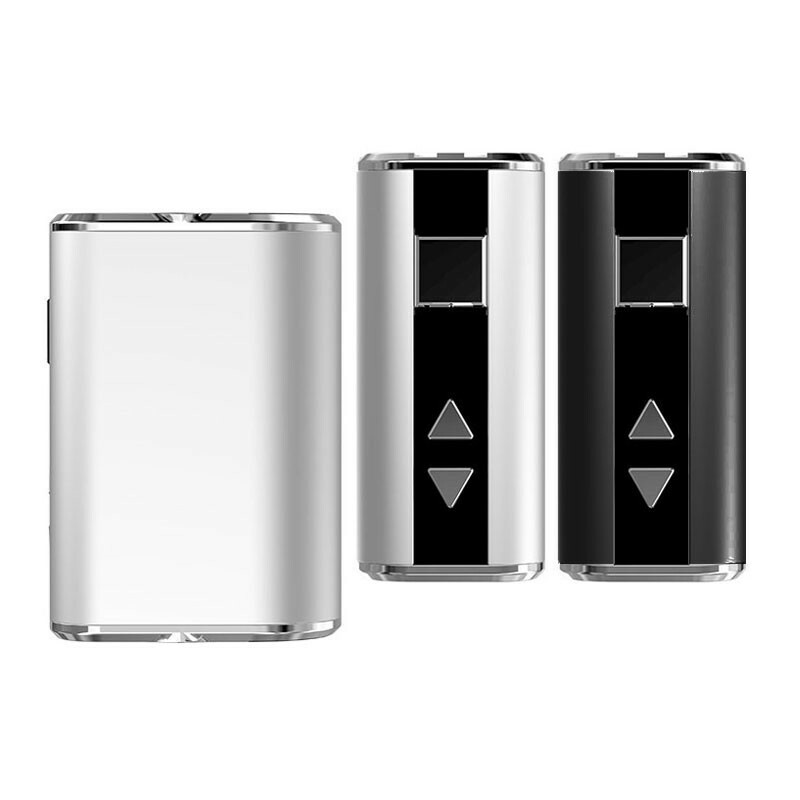 Note: The iStick 20 Watts Mod Do Not Come With USB Charger! 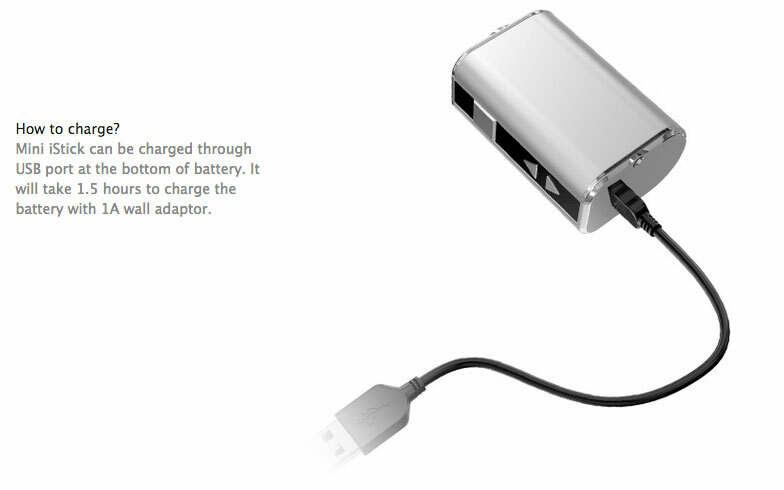 USB Charger Is Sold Separately. 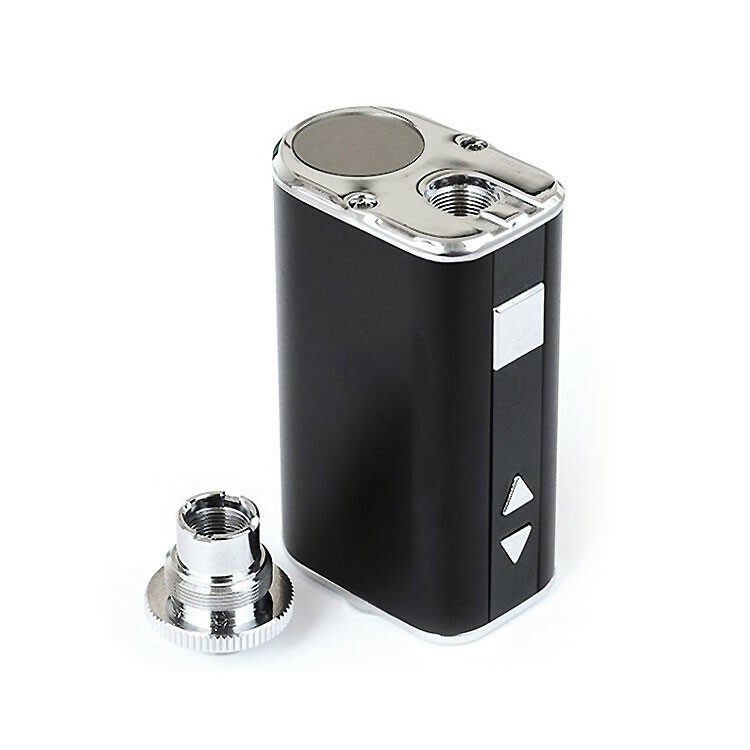 iStick will not work on Aspire Atlantis Tank due to the ohm limitation. 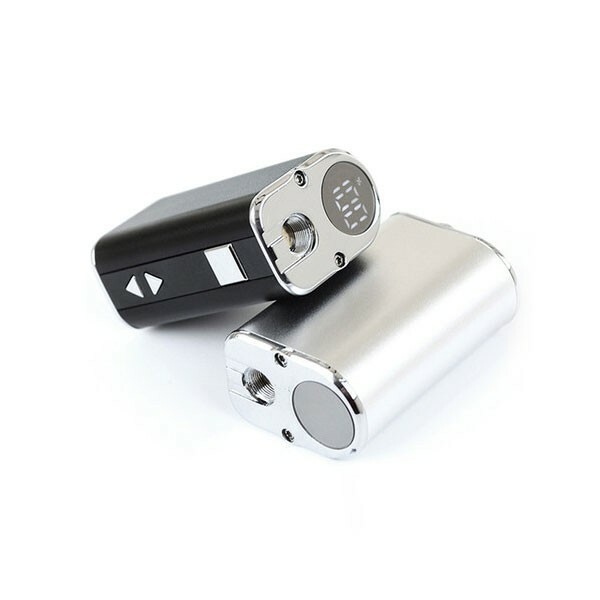 iStick do not fire atomizer resistance lower than 1 ohm! 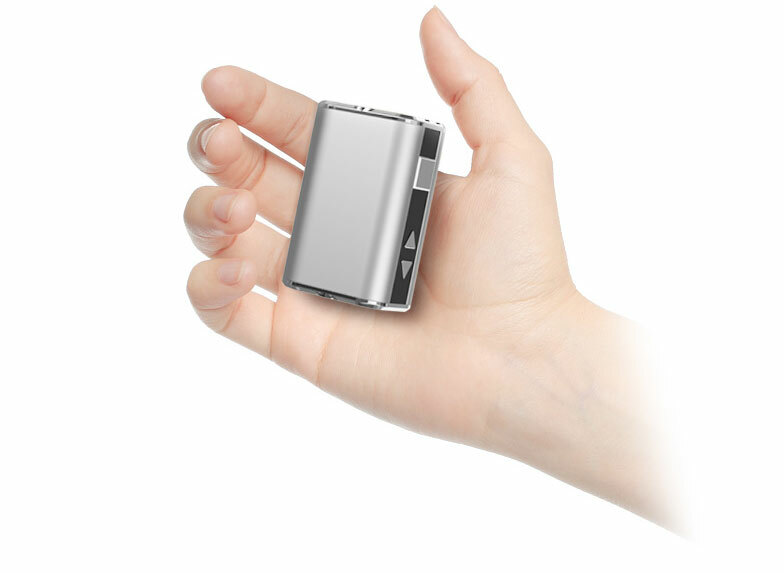 Advanced User Item. 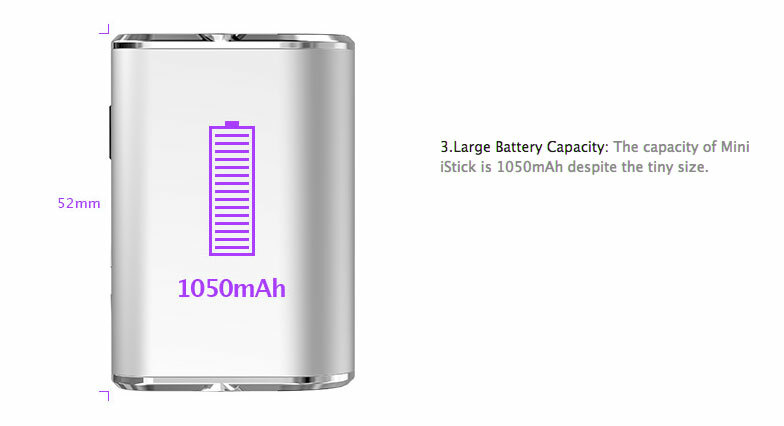 Use at Your Own Risk! 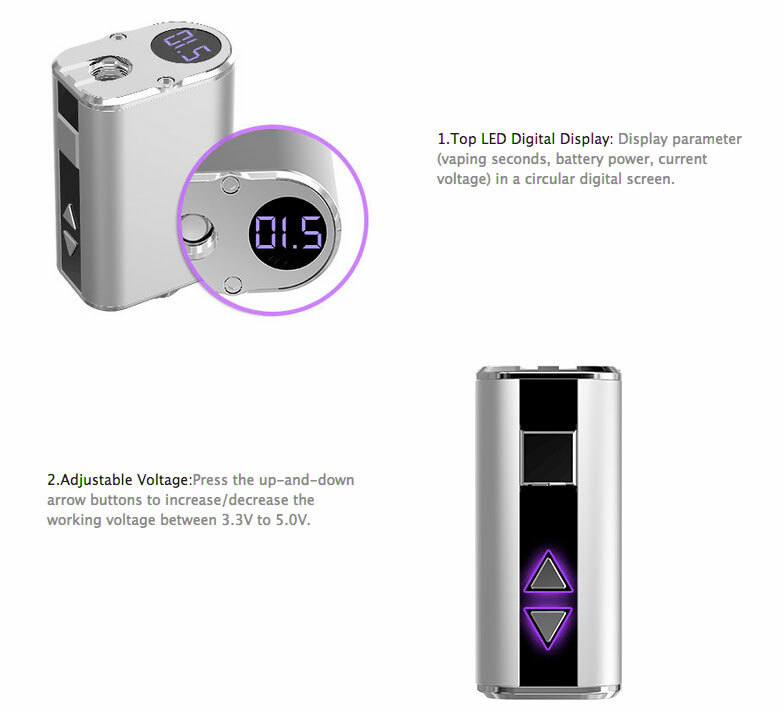 Do Not Fire Atomizer Resistance Lower Than 1 Ohm!